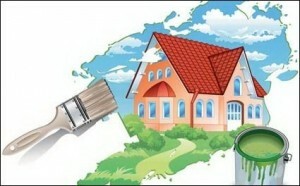 It is springtime and a lot of homeowners in Orange County are doing home improvements. Replacing an old leaking roof or having your home painted are good things to do. In this article, we’d like to share information with you on how to schedule projects like these in the proper sequence so you can avoid a lot of headaches and save yourself a lot of money. Why is an article like this so important? In our experience, 9 out of 10 homes we inspect with new roofs have had these new roofs installed over old dry-rotted and termite-infested wood. This means that if they want to replace the damaged wood at a later date, portions of their brand new roof may have to be removed. This will result in substantially greater cost and may void the new roof’s warranty. Wouldn’t it be better to have the wood replaced while the roof is off? Many homeowners fail to address their home’s termite problems or painting before installing a new roof. A lot of these owners become very upset when they find out that termite crews and painters are going to have to walk on their new roof and potentially cause damage. The damages are probably going to be minor if the roof is made of composition shingles. But, if it’s a tile roof, the damages could be significant. Wouldn’t it be better if you had the home fumigated and painted before the new roof was installed? Many painters will paint right over old dry rotted and termite damaged wood. What this means to you is that in a very short time, the paint will start flaking off in these damaged areas and your new paint job will be ruined. It also means that if you do decide to repair these wood damages at a later date, much of your new paint job will be thrown in the trash and all of the repaired areas will have to be re-painted. House painting is expensive! Why would you want to pay to have it done twice? Before you start any work, order a termite inspection. Areas that need repairs will be noted in the report and if termite treatments are needed, you’ll learn of the different options you have available. You need to schedule your work in sequence so that you don’t wind up doing the same work twice. If you’re not sure about the order, call us at (949) 631-7348 and we’ll be glad to assist. Call Termite Terry and order a termite inspection so that you’ll know what is needed before you start the project. Have your roofer remove the existing roof. Then, have our carpenters replace all dry rotted and termite damaged wood as needed. If a fumigation or termite treatment is needed, this is the time to do it. Next, have all the wood trim and exterior painted as needed. The last step is to have your roofer install the new roof. By doing things in this sequence, no one will need to go back on the roof again and your home will be set to go for another decade! Have our carpenters repair and replace all damaged wood as needed. 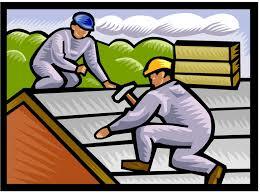 If roof repairs are needed, always have a roofer do this as your last project. You don’t want anyone walking on the roof after they finish! Every situation is different but these schedules work pretty well in most cases. By following these guidelines you will prevent a lot of headaches and save yourself a bunch of money, too! Are you getting ready to start your home improvement project? Call us at (949) 631-7348 and we’ll schedule an inspection at your convenience!